Earning a Oklahoma drivers license should be simple. We know your goal is to get in the drivers seat as soon as possible and with as little hassle as possible—and we can help you. You've got questions, and DriversEd.com has the answers. Need information about the specifics of permits and licenses in Oklahoma? Just want to know a lot more about what we can do for you? Read on! Once you create an account (it takes less than a minute), you're all set to start our approved Oklahoma drivers ed course. The course includes the online drivers ed class and behind-the-wheel lessons to guide parents through the supervised in-car training. Log in and out whenever you want from any Internet-connected computer. When you log back in, we'll take you to the exact place you left off. Compare that to driving to and from class. There will be a final online exam, but don't worry—you can take it as many times as you need and review the course material as much as you want. Once you pass the test and complete your in-car driving lessons, we'll mail your Certificate of Completion within 1 business day. Shipment by USPS First Class Mail is free, but you can always upgrade the delivery method. Please note that any parent enrolling a student in Oklahoma Parent-Taught Drivers Education must download the PTDE packet to apply as a Parent Instructor before starting the course. Be currently taking or have completed an approved drivers education course and be able to show proof of drivers education enrollment signed by your instructor. DriversEd.com is an Oklahoma DPS-approved provider for the Parent-Taught Drivers Education Program. After completing our online drivers education course, you will receive a Certificate of Completion, needed to ultimately earn your Oklahoma drivers license. In order to get the learners permit and eventually the Oklahoma drivers license, everyone no matter how old must pass a written test on traffic laws and signs. 70% of test-takers fail on their first try and end up returning to the DPS. A proven way to increase your chances of passing your learners permit test is with up-to-date online Oklahoma DPS practice permit tests. Randomly generated questions test your driving knowledge and prepare you for the real deal. Fifty online practice permit tests come free with our Oklahoma drivers education course. When you are ready to take your written permit test, save time by scheduling your test appointment at your local Oklahoma Drivers License Exam Station. Bring proper identification. For the list of all the acceptable documents, see the Oklahoma Drivers Manual. 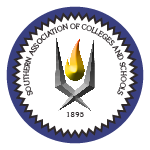 Note that all forms provided by the schools must be typed. Each signature block must have an original signature and school seal (no stamped signatures). If you are under 18, bring documentation of reading proficiency on a form provided by an approved school. If under 16, submit a drivers education completion certificate (i.e., green card from drivers education) or a Certificate of Completion of drivers education from a commercial school or a parent-taught drivers education course approved by the Department of Public Safety. Have the application co-signed by a parent or a legal guardian at the time of application. Pass a written driver knowledge test. Once you pass the written test, you will be issued a learners permit. You can only drive with a licensed driver 21 or older and who has been licensed for at least 2 years sitting in the seat beside the driver. You can only drive during daylight hours, except to and from work, school, and church-related activities or anytime with a parent or guardian in front seat of vehicle. No more than one passenger is allowed in the car with you, unless they live in the same household or unless a parent or guardian is in front seat of the vehicle. Once you have your learners permit and if you are under 18, you will need hold your learners permit for at least 6 months and must complete at least 6 hours of in-car driving lessons with a licensed instructor (unless you are participating in the Parent-Taught Drivers Education program). If you are under 18, you must also get at least 30 hours (10 at night) of supervised practice driving. If you are participating in the PTDE program, 55 hours are required. When you are ready to take the driving test, make an appointment at an Oklahoma Drivers License Exam Station near you. Have held your learners permit for at least 6 months (30 days if 18 or older). You can take the test only 3 times after date of eligibility. After that, you can take the test only once every 3 months. Have no traffic convictions on your driving record. Submit a notarized Affidavit of Driver Training signed by a parent or legal guardian that confirms at least 55 hours of supervised driving experience was completed. Bring a vehicle and valid proof of auto liability insurance if you are taking the driving test. Once you pass the driving test, if you are under 18, you will be issued a restricted intermediate license. You can only drive during daylight hours (5 a.m. to 11 p.m.), except to and from work, school, and church-related activities or unless accompanied by a licensed driver at least 21 years old. You can have no more than one passenger in the car with you, unless they live in the same household or unless a parent or guardian is in the front seat of vehicle. Be at least 18 years old and pass all driving and vision exams. If you're under 16 and planning to obtain an Oklahoma learners permit, you'll need to complete a DPS-approved drivers education course. DriversEd.com's online course is DPS-approved and fulfills the Oklahoma parent-taught drivers education requirement. But no matter how old you are, if you want to learn about driving in Oklahoma and plan to obtain an Oklahoma drivers license, you can take this course. 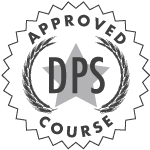 Does the DriversEd.com course satisfy DPS requirements? The Oklahoma Parent-Taught Drivers Education (PTDE) program is a DPS-approved alternative to drivers education in a conventional classroom. This program lets teens take their drivers education course online (with DPS-approved providers) and lets parents provide the 55 hours of behind-the-wheel lessons. The parent/guardian also plays an active role in the learning process and supervises the student's progress in the online course. To participate in PTDE, the parent/guardian must first submit a Parent-Taught Driver Education Affidavit to the DPS. This form can be found at the end of the PTDE Information Packet. IMPORTANT: The student may not begin the DriversEd.com Oklahoma online course until the parent has been accepted by the DPS as a parent-instructor and receives an authorization number. You will be asked to enter this authorization number in your DriversEd.com account in order to proceed with the course. Drivers Education is a class that teaches you the rules of the road, vehicle safety, etc., so you're ready to pass your written permit test. Our Oklahoma drivers education course is DPS-approved so new drivers under 15 ½ can complete their class entirely online. Drivers Training is the in-car driving lessons with a licensed driving instructor. In Oklahoma, if you are under 15 ½, you must enroll in 6 hours of drivers training to take the learners permit (provisional instruction permit) written test and complete those 6 hours to take your road test later on. Note: If you are participating in the Parent-Taught Drivers Education program your parent-instructor can provide drivers training. Read more about the PTDE program. That depends on your individual pace. In Oklahoma, all drivers education courses must be at least 30 hours. The good news is that with DriversEd.com, you can always go at your pace and log in and out at your convenience. Think how fast time flies if you do 20 minutes here and there! After you complete the DriversEd.com course, we will mail your Certificate of Completion free of charge and within 1 business day of your course completion. All certificates are mailed via First Class Mail unless otherwise requested by the student. If you lose your certificate, you can request a duplicate by calling us at 888-651-2886. No. If you are taking our online course, then you are participating in the Parent-Taught Drivers Education program and this means that your parents can provide you with behind-the-wheel instruction. What is drivers training? The DriversEd.com course fee covers your online Oklahoma drivers education course, a DPS-recognized Certificate of Completion sent to you by First Class Mail, and 50 free practice permit tests to help you prepare for your written permit test.